Madlela Skhobokhobo Power three movie screening will be held in three countries , namely: South Africa, Botswana and Zimbabwe. Alongside the cast, there will be other featuring artists like, Zinjaziyamluma, Mehlokazulu, Bongani Mncube, Boze and Golide rhumba dancers. The springboard for the tour will be in South Africa, at Alec Gorschel park, then on the 29th of October all will be set for Botswana in Gaborone and on the 5th of November Bulawayo residents will be given an early Christmas present right at Nkulumane (Sekusile) outdoors, there we will be partnered by Victory Siyanqoba Trust . The movie was produced this year as an addition to the two chapters already in the market, that is (Skhobokhobo Power 1 and Skhobokhobo Power 2-Ihloka). The continuous comedy tells a story of migrant Zimbabweans who are trying to survive in Mzansi. The phases passed by the main Character-Madlela are actually a satire of the real scenarios which people face especially when they bump between borders ,between home affairs and foreign affairs, between Crossborder transporters "Omalayitsha" and the police, and then comes the fate of identity issues in Johannesburg. The tour is aimed at reaching out to millions of fans who have been crying from afar and have shown their interest by making record breaking downloads across social networks. "Their comments and messages are something not to be ignored," Madlela commented in a boardroom meeting. 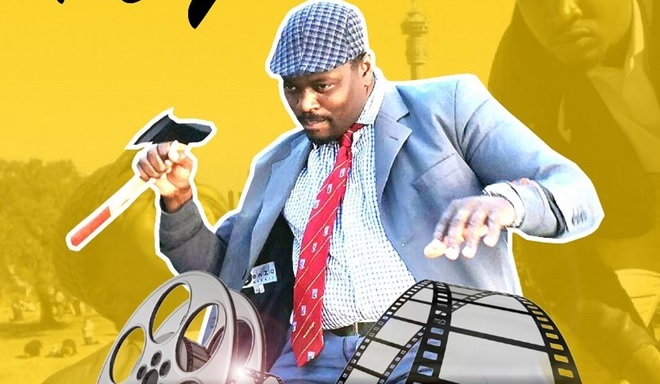 The movie is produced by Shilolo Media House, (a production house under a Zimbabwean-born-Bashimane Mothusi Ndlovu) , the very same media house which produced other short movies and TV dramas like: "Silence," "Bafoe," "Death OF Fear," and a stage play -"Idlozi lolalaka." However, due to the popularity of the comedy Madlela, some people have unfortunately labelled all these DVDs as Madlela just to capitalise on their sales. Others were written Madlela Three long before even Madlela Three script was completed. Hence through this tour ,fans will get to understand better and will know where to get the official DVDs of their TV favourite. "We want to be more intimate with our fans for a healthy business sustainability," said Madlela's personal Manager. As Madlela cast, we hope to meet an entertaining crowd out there and we are happy that we have finally managed to plan for our fans, friends in arts and supporters at large. We will bring along all DVDS produced so far and we will be having multi-chats with them. We would also like to appreciate their unwavering support you have shown over years. We realised that despite the stifling competition from piracy, people still come direct to our official distribution centres and agents to but the original DVDs ignoring those on streets even when they are presented door to door by the stubborn piracy guys. We also extend our appreciation to all media owners who have recognised us in their publications, please keep on supporting us we will also keep on doing what you like in the entertainment industry. Without you all we are nothing ! At Shilolo Media house "the dream never dies"